COMP Modification - Ultimate Competitive Mod! Extract directly to Soldat directory and enjoy. - Most of the main game components (gosteks, weapons, bullets, scenery, blood, kits) have black stroke! This is just awesome. - Interface: grand-diablo's "MicroTwo" polished updated version (Fits best to 1024*768). In order to load the "Interface Style" you have to pick Micro4 in the in-game options. - Crosshair is now included in main interface as well. I've been noticed multiple times about problems with gosteks shown huge. The fix to it is copy "mod.ini" from Soldat folder into the modification folder. Re: COMP Modification - Ultimate Competitive Mod! Amazing :3 Thanks for your work! 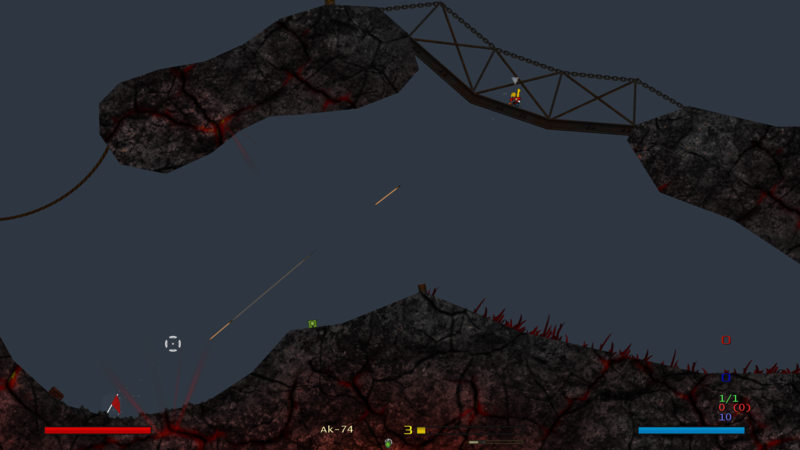 - The majority of the main game components - gostek, weapons, bullets, scenery, blood and kits - were modified. Can you post a changelog? I'm curious what changed from v1 to v2. This is way too tryhard.